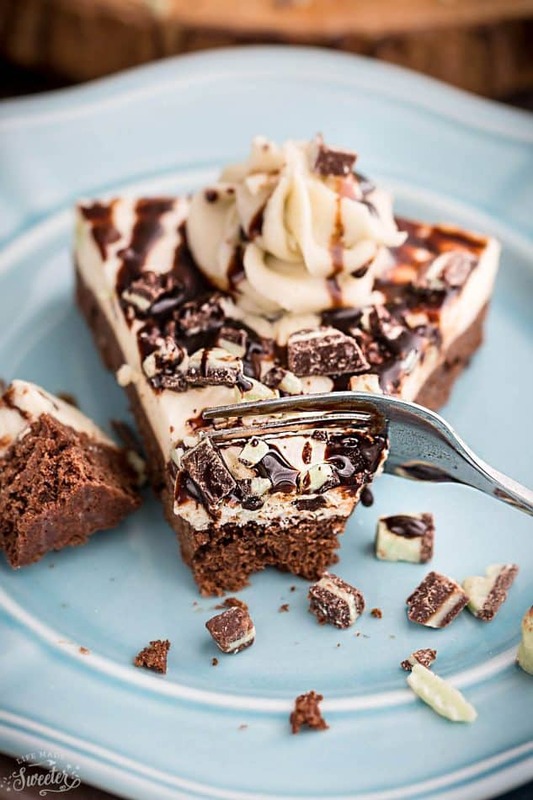 This Andes Mint Chocolate Brownie Cheesecake is the perfect decadent dessert to serve during the holidays. 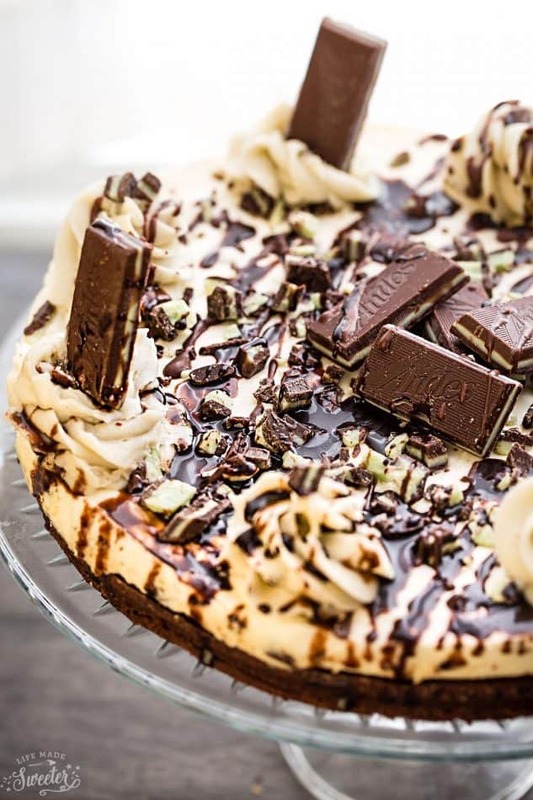 A no bake mint cheesecake mousse layered over a fudgy brownie crust topped with a drizzle of chocolate and Andes Mints. Plus a recipe video! 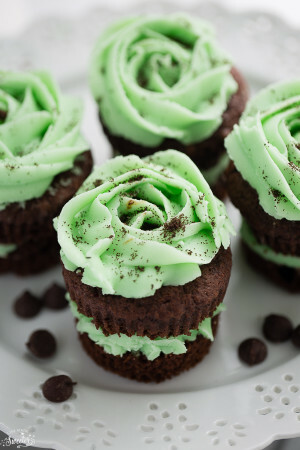 During the holidays, there’s nothing quite like the combination of chocolate and mint. 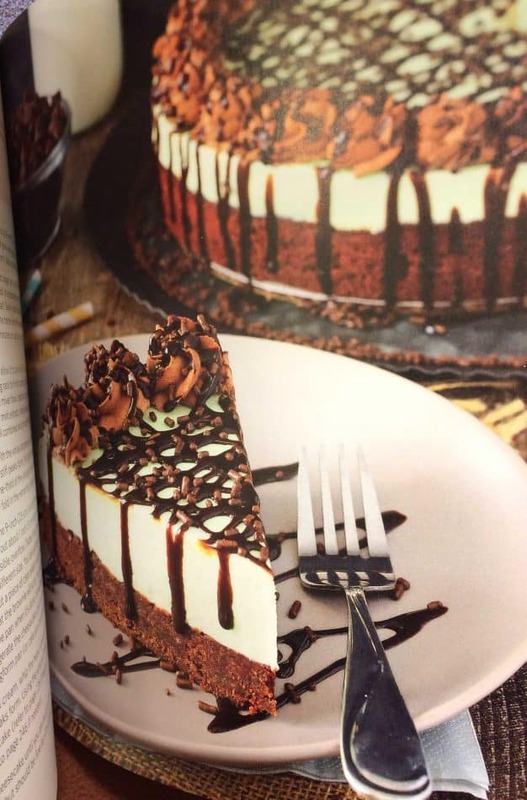 It’s also one of my husband’s favorites which is why when I was trying to decide what to make from my friend Lindsay’s new cookbook, Simply Beautiful Homemade Cakes, this Mint Chocolate Brownie Cheesecake was calling out to me. I had been meaning to share this recipe for a while now but with the hustle and bustle of the holidays, my main camera breaking down and client work, I didn’t have a chance to post it until now. Lindsay is the super sweet and talented blogger behind Life, Love & Sugar. Her blog is full of jaw-dropping desserts like this Peppermint Chip Layered Cake and this Cinnamon Roll Layer Cake and her book is just as stunning. I had a chance to test out a few recipes already like these Cherry Almond Cupcakes back in January and just recently these Sparkling White Chocolate Cranberry Cupcakes and you guys, they are to. die. for! If you are interested in making cakes or know someone who is, this beautiful cookbook is a MUST. It’s filled with gorgeous pictures of the finished recipes plus a ton of step-by-step photos and tips to guide you along the way. Now that the holidays are here, this would make the perfect gift for that baker or aspiring baking in your life. You can find it on Amazon, Barnes and Noble and wherever books are sold. There are 256 pages and each recipe contains a gorgeous photo ranging from cookie cakes, cupcakes, icebox cakes, single layer cakes, layered cakes, ice cream cakes, cheesecakes, and holiday cakes. 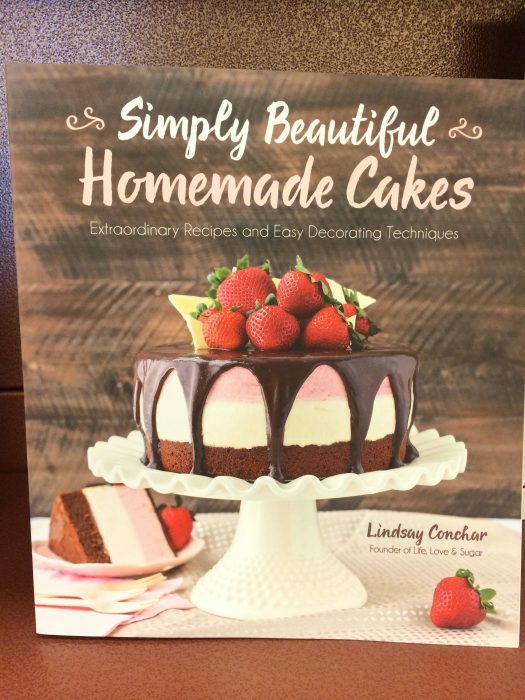 PLUS, I love that there is a whole section where Lindsay shares tons of step-by-step photos of basic techniques, such as frosting cakes and how to make the perfect cupcake swirls. 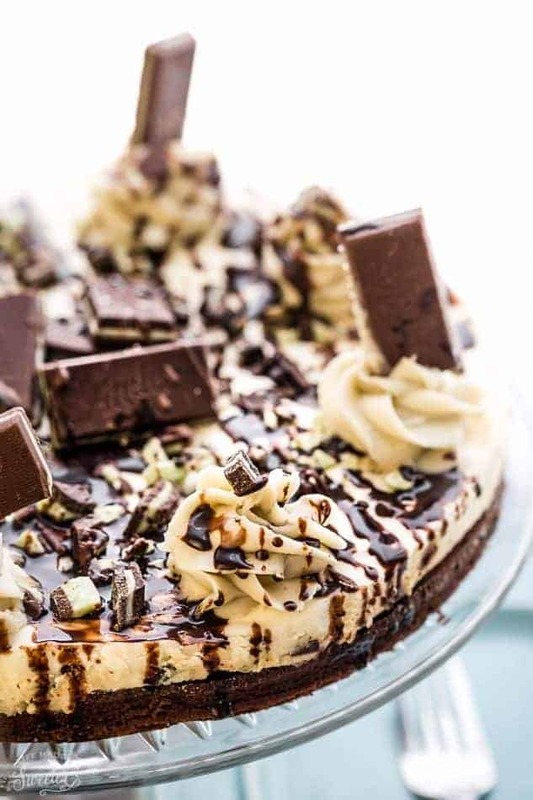 This recipe is based on her Mint Chocolate Brownie Cheesecake recipe from the book. I changed mine up slightly by leaving out the green food coloring and adding some chopped Andes Mints for a holiday spin instead. For the piped border, I used Vanilla Swiss meringue buttercream frosting instead of the chocolate whipped cream since I had some leftover from another baking project. The cheesecake starts off with a chocolate brownie crust baked in a 9-inch springform pan. 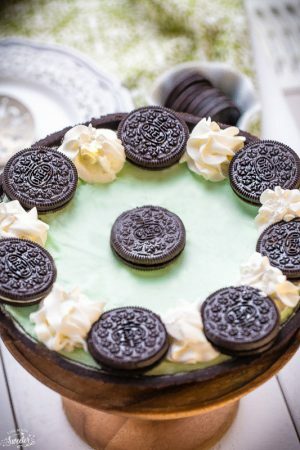 Next, you spread a layer of mint cheesecake filling with Andes mints on top of the cooled crust and place it in the fridge to firm up. Once it’s ready, just pipe a pretty border along the edges, sprinkle more Andes Mints then drizzle with chocolate sauce. 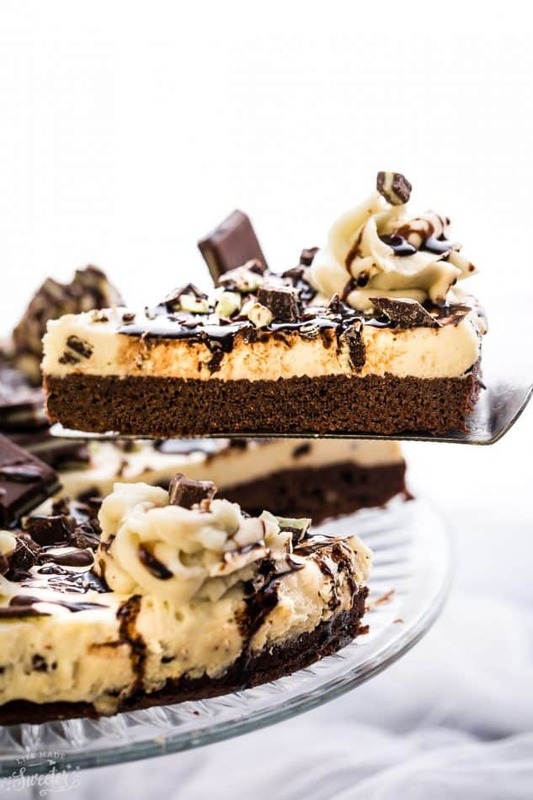 This Andes Mint Chocolate Brownie Cheesecake is rich, decadent and totally worthy of your holiday dessert table and perfect for any chocolate and mint fan! 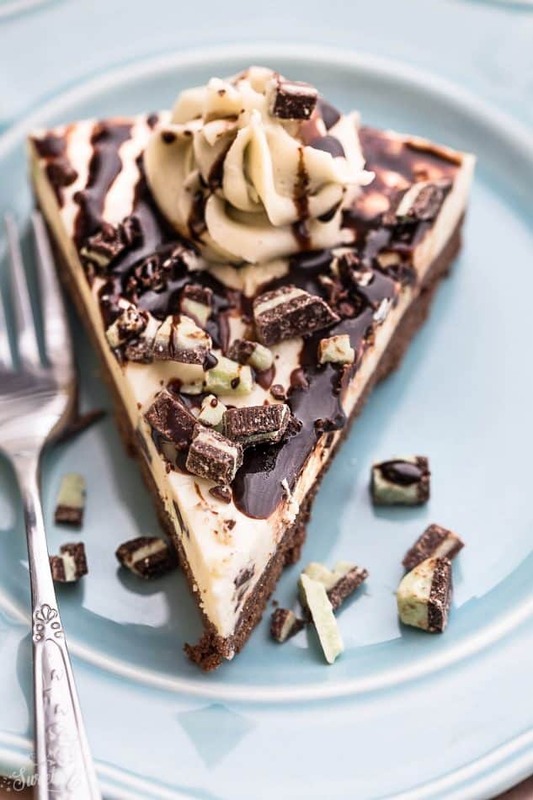 This Andes Mint Chocolate Brownie Cheesecake is the perfect dessert to serve during the holidays. The chewy brownie crust is topped with a cool and creamy cheesecake filling and drizzled with chocolate sauce. Remove the brownie from the oven and allow it to cool for 3 to 4 minutes, then remove it from the pan and transfer it to a cooling rack to finish cooling. Once the brownie is cool, make the cheesecake filling. In a large mixer bowl, beat the cream cheese and sugar until well combined and smooth. Add the peppermint extract and vanilla extract. Mix until well combined and smooth. Set this mixture aside. In a separate mixing bowl fitted with the whisk attachment, whip the heavy whipping cream and powdered sugar until stiff peaks form. Gently fold one-third of the whipped cream into the cream cheese mixture until combined. Gently fold in the remaining whipped cream until well combined. Gently fold in the Andes Mints until evenly distributed. To make the whipped cream, whip the heavy whipping cream and powdered sugar until stiff peaks form. Using the whipped cream, pipe a swirl border around the edge of the cheesecake. Drizzle the chocolate sauce over the cheesecake. Sprinkle additional Mint Andes chocolate plus a few in the center, if desired. Excerpted and slightly Adapted from Simply Beautiful Homemade Cakes: Extraordinary Recipes and Easy Decorating Techniques by Lindsay Conchar. Copyright © 2016. Reprinted with permission from Page Street Publishing Co. All rights reserved.